In SaaS Roundup, we comb through the noise to find you only the best SaaS-flavored reads of the week — just our top three. You can also receive SaaS Roundup in your email inbox every Friday — just drop your email here and you’ll receive the next issue. 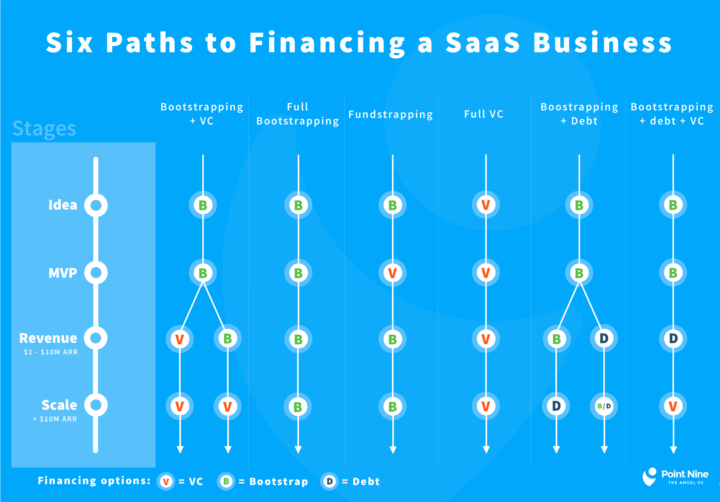 It seems that the number of viable financing options for SaaS founders is growing. In some ways this is likely to be a side effect of the reduced VC-compatibility of many SaaS businesses (something that Clement himself talked about at length). It’s interesting (and no doubt incredibly useful for founders) to see these common routes to growth mapped out visually and compared. How long before founders are sitting in bars saying things like “oh, so you took the B-B-D-V route”? Read the full post. Alternative title for this: “How to be more confident in choosing your sales model”. Elicia expertly breaks down different approaches to building a sales organization in SaaS, with a strong basis in metrics — LTV, CAC, ACV — it’s all here! Read the full post. Excellent compare/contrast of different startups’ views on expanding across the pond. The majority of this post is condensed insights. Read the full post. That’s all for this week! Don’t forget you can still receive upcoming issues of SaaS Roundup in your email inbox. See you next Friday.